Fortunately, it hasn't taken long for data to start trickling into GameBench’s servers, thanks to members of the enthusiast community who have embraced our benchmarking tool. It’s worth emphasising that these data don’t come from our labs, so we can’t fully vouch that they’re accurate and cheat-free -- but they can at least offer us an early, partial glimpse at the Note 4’s abilities, and what we’ve seen so far is pretty impressive. A complicating factor is the presence of so many different geographical variants of the Galaxy Note 4. These models contain different processors and in turn these processors appear to show differences in performance. The vast majority of the GameBench sessions that have been uploaded so far are from Note 4 phones running on Samsung’s own Exynos 5433 processor. At the time of writing, we have 15 Asphalt 8 sessions for Exynos variants, mostly the SM-N910C and SM-N910U, and these will be the focus of this article. (However, we do have some data for the Qualcomm version too, which we’ll come to in a bit). To put it bluntly, the data puts the Exynos Note 4 ahead of every other Android device on the market -- at least in terms of raw frame rates and our limited data set. These are the only devices -- whether phones or tablets -- to deliver over 50fps in this game. What's more, out of the 15 sessions recording on Asphalt 8, 12 of them actually show the game running 58-60fps (i.e. the maximum possible fluidity). There’s a caveat here, though: Even the best performing sessions occasionally reveal poor frame rate stability. 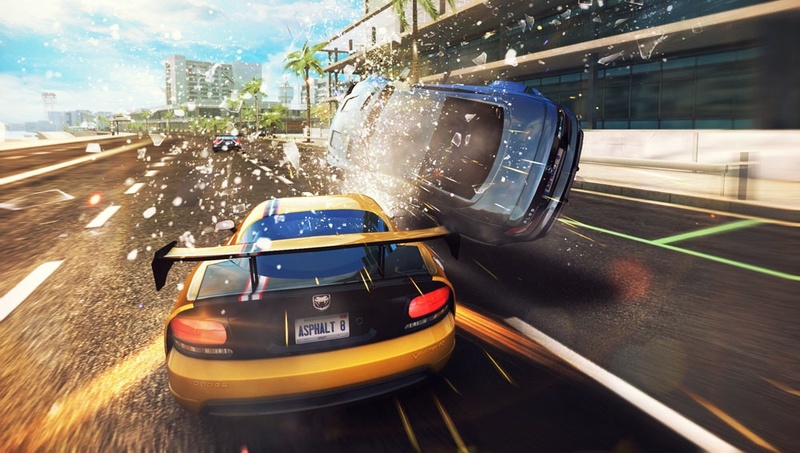 The average stability is around 75 percent, but in some cases as little as 58 percent of Asphalt 8 was played at the median frame rate -- which means that even though the average frame rate was extremely high, there plenty of moments in the game where it drops considerably. This stability issue is further revealed by individual frame rate charts, which suggest that some specific race tracks run at closer to 40fps than to 60fps. (The impact of one such track is likely visible around the 9-minute mark on the frame-rate chart above.) We think this could explain why there are also a couple of Asphalt 8 sessions in our database with an average of 39 fps -- these sessions were likely recorded while one of the more demanding tracks was being played. The results in this section are even more straightforward, and just as positive: Although the Note 4 delivers class-leading frame rates, and although its display contains an inordinate number of pixels, it handles Asphalt 8 without sacrificing stamina. It manages to play the game for more than 4.5 hours on a charge. This is slightly ahead of most variants of the Galaxy Note 3, and well ahead of the industry-wide average of 3.75 hours. The LG G3, meanwhile, seems to languish far behind at 2.75 hours. We should mention that the Galaxy Note 4 isn’t a class-leader when it comes to battery life in Asphalt 8. You can actually get five or even six hours of play time from a Galaxy S4 or Galaxy S5. Remember, however, that these phones can only run the game at 30fps. What about the Qualcomm Note 4? We only have a single lonely session on our servers that represents Asphalt 8 as played on a Qualcomm-powered Note 4. This session points to an average frame rate of 42fps, with low stability of 65 percent and decent battery life of 4.15 hours. If accurate, these publicy-sourced results would put the Qualcomm-powered Note 4 somewhat behind its Exynos rival. But they’d still put it ahead of almost every other Android phone on the market -- the only other contender being the rare LTE-A version of the Galaxy S5, which has the same chipset and comes in with a very similar set of scores. Sessions from other games, such as Real Racing 3 and Modern Combat 5, are gradually nudging us towards the same conclusion -- that the Qualcomm-powered Note 4 is very good, but slightly less adept at gaming than Samsung’s home-made chip. But again, there really isn’t enough data to draw such a final-sounding conclusion just yet. If you happen to have access to an American or European version of the phone with a Qualcomm chipset, please consider downloading GameBench and recording some Asphalt 8 sessions, so that the rest of the mobile gaming community can learn from your experiences.